Poker is a game of skill, guts, and, above all, luck. It really is not for the faint of heart. With so many online poker games on the market, it can be difficult to determine which is worth playing and which is not, so let’s launch right in! Double Joker is a 54-card deck poker game powered by software from BetSoft. This is a challenging, multi-hand game played with classic card symbols, that is sure to be a treat for both novice and expert players alike. Controls are relatively straightforward, but let’s go through them quickly. Starting in the bottom left is Bet One, in the middle is Deal, and to the right is Max Bet. Directly below the cards are 5 “Hold” buttons. To the very right of the field is a display showing Credit, Bet, and Wins. There you can also choose your coin level, and game speed. Two separate joker cards that have the power to substitute for all other cards in the game. Double Up: Allows you to double your winnings through a simple card pick round. 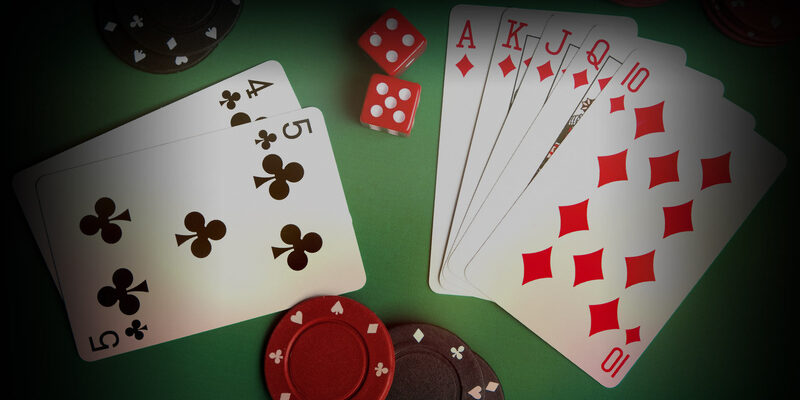 Payouts start at two pairs and build up to royal flush, which is worth a massive 4000 coins. If you make a royal flush without jokers, you will be paid 8x less than with jokers. This is a sleek, modern, high-performing game. It has fantastic graphics that will transport you directly to a high-end casino. It’s also available on any device so you can take it anywhere. Double Joker offers a twist on the classic poker game. It will impress and challenged both novices and experts alike. I know I’ll be coming back to this one, and you’ll be sorry if you miss out on it.